Getting around has never been easier. In a few short years, we went from using big folding maps, to printing of directions before we leave, to installing gps systems in our cars, to having a gps device right in our pockets to use at any time. Since the rise of the smartphone—as with calculators and memorizing phone numbers—knowing to and from directions to places has become a practice of the past. Driving somewhere unfamiliar is never a struggle, as all you have to do is type the address into Google Maps, or an equivalent app, and hit send. Not only do you not have to figure out the best route yourself, but you don’t even have to look at it again, as it will tell you what to do every single step of the way. But as convenient as this is, what happens when you don’t have it? This might seem like an unlikely scenario, but actually all it takes is a dead phone or simply a lack of reception—perhaps in a foreign country—and all of a sudden you are lost in a boat (or car) without a paddle! So for anyone who is too young to remember finding their way without the help of a phone, here are some tips. keep a map in your car—yes, a paper one! It might seem archaic, but it’s always worth having a good old fashioned paper map around. If you are planning a road trip somewhere unfamiliar, or somewhere where there might not be very good cell service, print off a few maps of the area before you go. You can also cache certain areas on Google Maps and save them for later, but this is no good if your phone runs out of battery. As well as printing off a map, it might be worth also printing off to and from directions for your destination, in case of emergency. 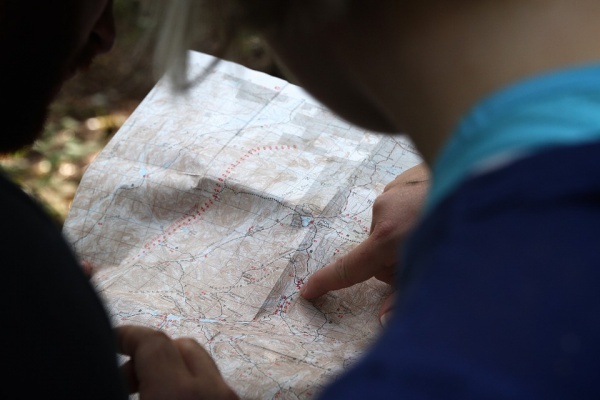 Even if you don’t print off a map, checking before you leave to make sure you have at least a basic idea of where you are going is a very good idea. If you didn’t happen to print out a map before you left, you might think you’re in deep trouble. But, while this certainly isn’t convenient, most gas stations still sell paper maps, and so all you have to do is pop into one and grab a map of the local area. Problem solved! If all else fails, don’t be afraid to ask for directions. Locals always know their way around, and you can usually find someone to talk to either on the side of the road or in a gas station or store along the way. If you are somewhere where they don’t speak English, it might be a little bit more difficult, but if they are not able to convey a basic route to you through words and gestures, bring a piece of paper and pen and have them draw it using arrows. A lot of these suggestions depend on one thing—knowing how to read a map. You might think that this is a skill that is no longer necessary, but the evidence suggests otherwise. Take a little bit of time and make sure that you know how regular maps work. Even if you don’t end up in one of these phoneless nightmares, it might come in handy next time you think Siri is leading you astray!